Nothing says romance like an intimate dinner for two, complete with the flickering glow of candlelight, gourmet food, fine wine and outstanding service. And since Savannah is a traditional city, wrapped up in history, charm and elegance, its fine dining restaurants provide the ideal environs to indulge in a heavenly meal with that special someone, enveloped by all the ingredients needed for true romance. From grand restaurants set inside historic buildings that serve traditional southern American dishes from recipes that date back generations to more contemporary options with modern artwork and international eats inspired by cultures all across the world, we’ve rounded up the top 10 fine dining restaurants in Savannah, Georgia to help you celebrate a special occasion together. The scene: Serving up creative American cuisine to young and trendy foodies, Local 11 Ten Food & Wine has got the cool elegance of an art gallery in the form of a warm and inviting restaurant. The menu showcases the best of southern flavour, with classics such as grilled ribeye steak with green tomato gratin and chicken roulade with cornbread pudding stuffing alongside enticing sharing platters laden with international delights, like warm olives, spicy mussels, house-made chorizo and crispy chicken skins. For the ultimate gourmet experience, there’s also a four-course tasting menu with optional wine pairing that lets you sample a selection of fine dishes that change with the seasons. The chic, modern décor features dark wood panelling, space-enhancing mirrors and candle-like lighting, making this restaurant the ideal location for a romantic dinner for two. After indulging in the epicurean eats, end your night on a high by ordering a bottle of wine from the award-winning selection at the rooftop bar and looking up at the stars. Signature dish: The menu changes quite often, but the duck breast is always superb. 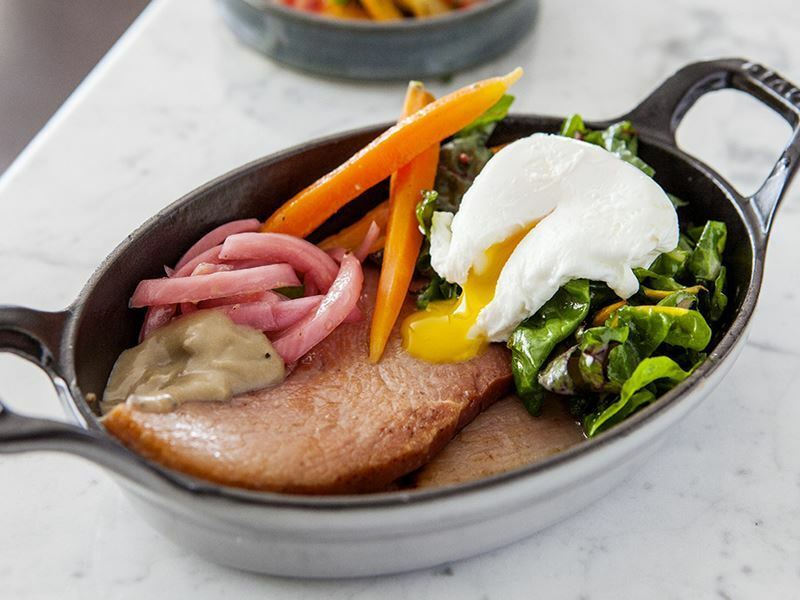 The scene: Another contemporary restaurant that highlights modern Southern cuisine, 22 Square Restaurant takes pride in its true farm-to-table dining. Its ever-evolving menu treats diners to a choice of innovative dishes made with local and organic ingredients. Start light with a farmers’ cheese plate then get ready to indulge with tempting main courses such as mac and cheese with bacon (served family style), Kurobuta pork chop with sweet potato mash or Loch Duart salmon with beet remoulade. The decadent desserts, especially the caramelised white chocolate and raspberry bread pudding, are so incredible they’re worth ordering to take away if you can’t manage another bite. White-washed walls, wooden tables and minimalist rugs create a modern farmhouse feel which ties in perfectly with the theme of the food and the craft cocktails. If you’re an early riser with a ravenous appetite, hit up the all-you-can-eat breakfast buffet and tuck into market-fresh produce, breads, yoghurts, cereals, eggs and baked goods, complemented by some of the finest coffee you’ll ever sip. Signature dish: Natural chicken – sous vide and roasted chicken breast, served with a shaved asparagus salad, split pea hummus and freekeh. The scene: Vic’s on the River is a real foodie’s paradise where fresh, modern eats contrast with the old, classic décor in a way that just works. Located in the Historic District, this fine dining restaurant flaunts a nostalgic atmosphere, with black wooden furniture, delicate chandeliers and amazing river views you won’t be able to take your eyes off. The regional cuisine highlights popular favourites such as crab cakes, pan-seared jumbo scallops, braised-beef short ribs and Vic’s farm-raised burgers, all served with the southern staples of fresh buttermilk biscuits and honey butter. Llunch offerings are just as appealing as the evening selections, with a handful of hearty salads and sandwiches to choose from, in addition to the mains. The friendly and professional service combined with the daily live music performances creates a genuinely pleasant and comfortable atmosphere perfect for any occasion. Signature dish: Fried green tomatoes served with goat cheese, tomato chutney and a balsamic glaze. The scene: Set inside the unusual location of a renovated 1930's Greyhound bus depot, The Grey specialises in contemporary southern cuisine with a hint of Italian flair. Grilled pork chops with charred vegetables, fried eggplant with farmers’ market cheese and country pasta with fresh tomatoes all showcase the finest ingredients from both regions, alongside comfort food sides, such as creamed corn with chowder butter and smashed new potatoes with sour cream, served in portions generous enough to share between two. 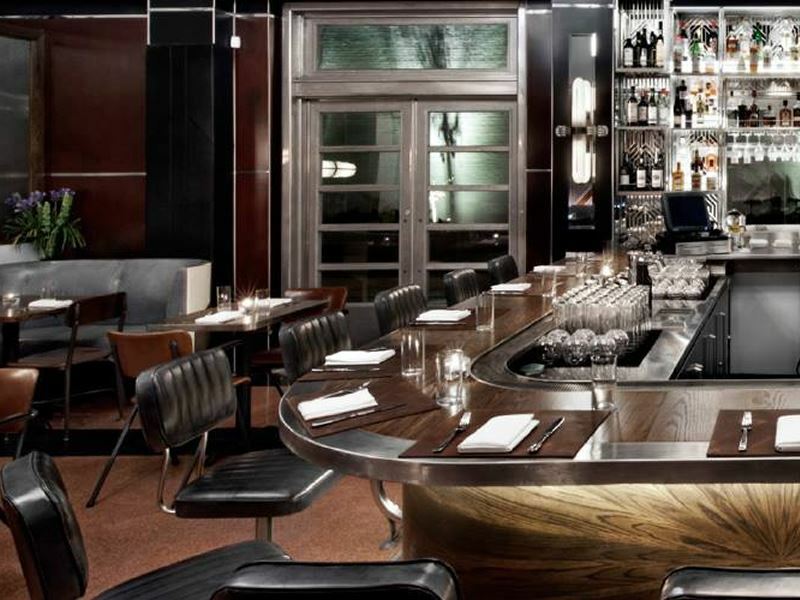 Although it seems a bit off-theme, the raw bar with nightly-rotating plates offers a deliciously refreshing change to the hearty food of the main menu. Not wanting to stray too far from its roots, the design of the restaurant builds upon the initial layout: the original ticket counter has been transformed into a modern glass-walled kitchen, the old Union News Café has been reconstructed into a diner-style bar and the diver’s bunk room has been converted into storage for the extensive wine collection, creating the perfect mashup of old and new. Signature dish: The smoked collard green side dish – collard greens carefully smoked and cooked with a delicious mix of leeks, onions and shallots. 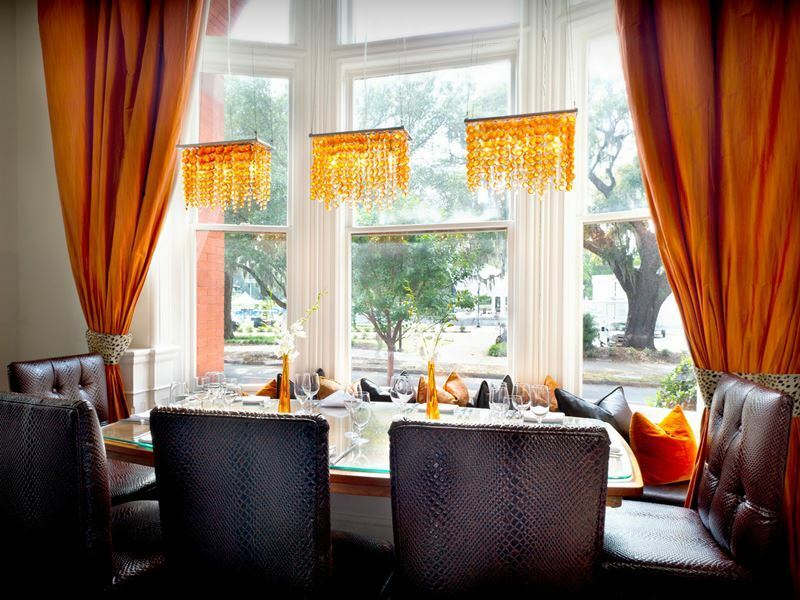 The scene: The gold standard for Savannah dining, Elizabeth on Thirty Seventh serves impeccable southern American cuisine in a 1900's mansion fit for royalty. Capturing the true essence of the city, its history and its heritage, this fine dining establishment boasts a grandiose dining room, complete with soft lighting, pressed linen tablecloths and a carefully-chosen colour scheme reminiscent of a royal household. The chef’s seasonally-changing menus make the most of fresh coastal seafood and local produce, as well as edible flowers and delicate herbs grown in the restaurant’s own garden. Inventive Lowcountry takes on traditional southern dishes grace the menu which changes with the seasons. For that extra special touch, all guests are treated to a complimentary green salad at the start of their meal, sprinkled with house-grown herbs. For a more indulgent experience, the chef’s tasting menu is also available on most nights and is surprisingly affordable for nine outstanding courses. 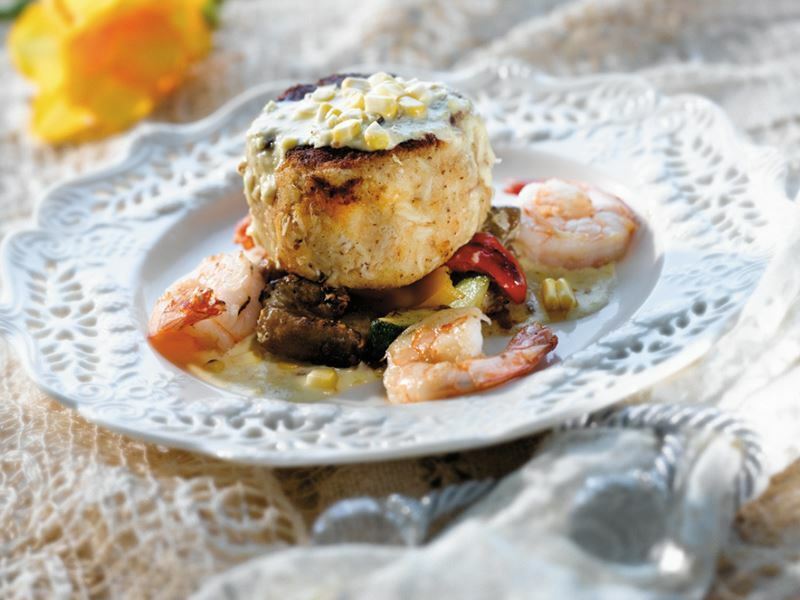 Signature dish: Coastal Grouper Celeste with a sesame and almond crust, drizzled with a peanut sauce. 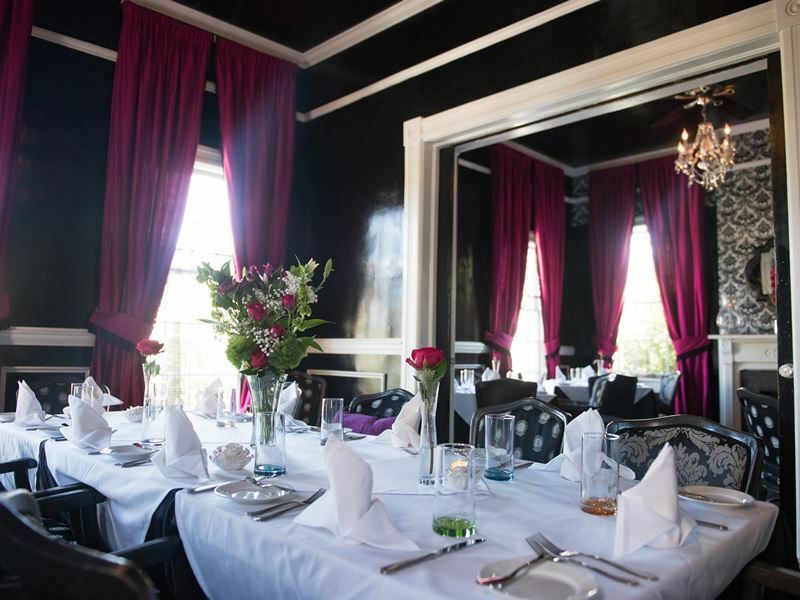 The scene: For that extra special occasion you’re pulling out all the stops for, the Olde Pink House is where you want to book a table. 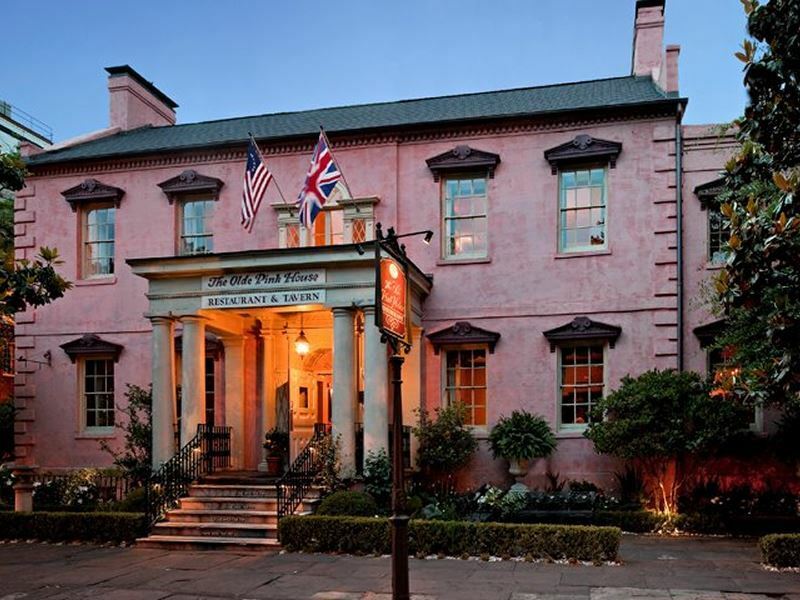 Known as the locals’ favourite place for true Lowcountry cuisine, this spectacular restaurant boasts the setting of the city’s only 18th century mansion guaranteed to amaze. The million dollar experience begins with the impressive staff, eager to cater to your every foodie whim and carries on through to the regal surroundings, enhanced with glass chandeliers, stunning artwork and gorgeous table settings. The fine dining feel reaches its peak just where you want it to: with the food. 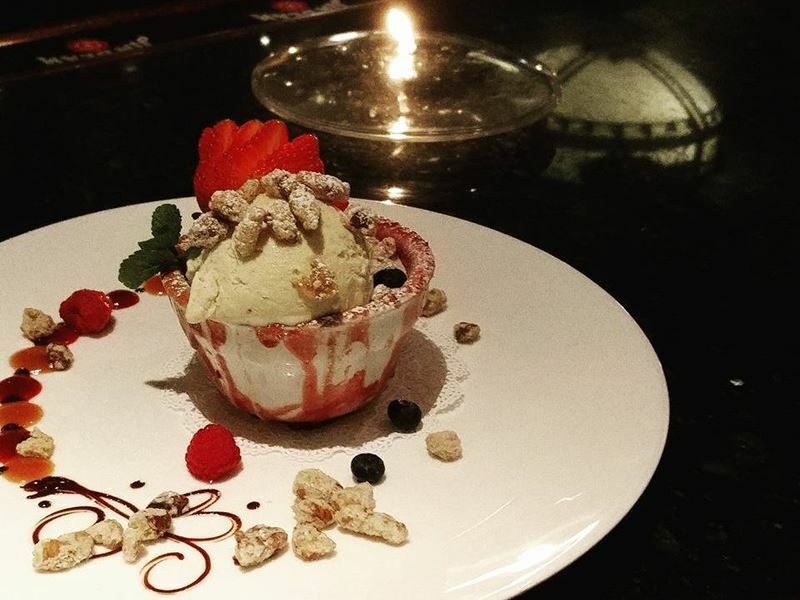 You’ll find typical southern favourites on the menu, including shrimp and grits, bourbon molasses-glazed pork chop and fried green tomatoes, culminating in beautiful desserts, such as the art gallery-worthy praline basket, hand-crafted and filled with vanilla ice cream, topped with sweet berries. Signature dish: Crispy scored flounder served whole with collard greens, grits and an apricot shallot sauce. 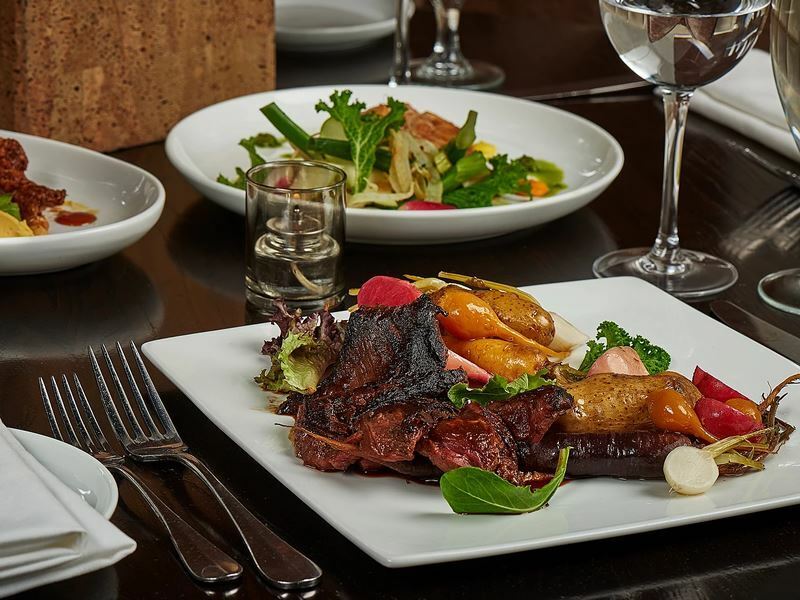 The scene: 45 Bistro is a gourmet restaurant that strikes the perfect balance between all kinds of opposites, making it ideal for anyone who wants the great food of a fine dining restaurant without the stuffiness or fuss. It succeeds in maintaining a casual yet upscale atmosphere and delights diners with a wide choice of New American eats, served in an old historic building loaded with character. The reliably tasty dining options are always bursting with fresh, exciting flavours, cooked with the utmost care and presented wonderfully. You’ll find all the south American classics on the menu, such as fried green tomatoes, shrimp and grits and brick oven-roasted chicken, but all with a subtle contemporary twist – the tomatoes are served with bacon vinaigrette, the grits come with house-made onion rings and the chicken sits on a mound of creamy wild mushroom risotto. Signature dish: Duck two ways – a pan-seared duck breast and a confit thigh served with sautéed escarole, roasted baby beetroots and carrots, with a roasted duck gastrique. 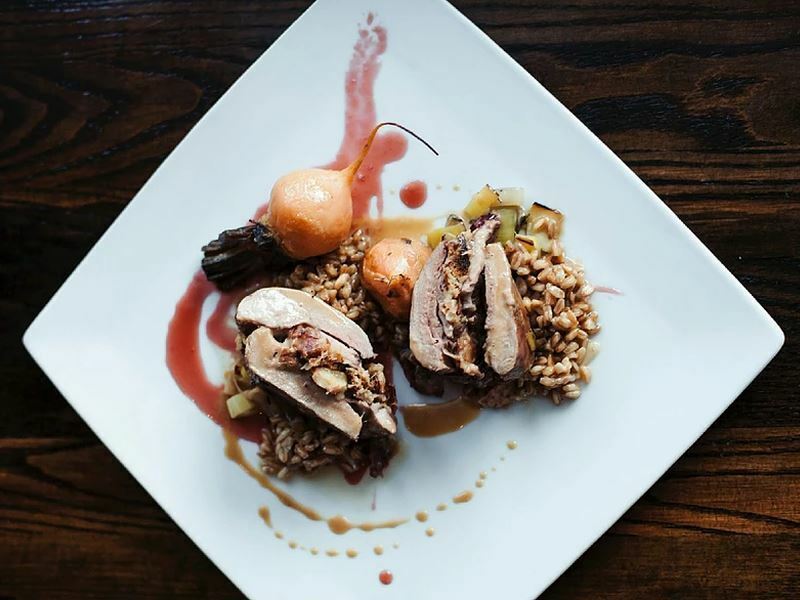 The scene: Flavour-packed, creatively innovative and beautifully presented are just some of the words often used to describe the exquisite dishes that come out of Noble Fare’s kitchen. Offering hungry diners a wide selection of New American cuisine, the menu at this fine dining restaurant showcases seafood at its very finest, with the likes of tuna tartare with tropical fruits, roasted red fish with sweet potato hash and diver scallops with buttery quinoa amongst the many highlights. There are plenty of carnivore-pleasing dishes on the menu, too, including “TV Dinner” (the chef’s plate of the day) and the coconut-rubbed pork tenderloin, plus the heavenly tasting menu that’s undoubtedly worth splashing out on. The top-notch cuisine is complemented by the intimate, chandelier-lit setting and the recently remodelled wine bar on the second floor provides the perfect spot to enjoy a glass of your favourite before sitting down to eat. Signature dish: Duck, Duck, Goose – a creamy duck risotto topped with medallions of duck breast and a large piece of seared foie gras. The scene: Serving classic southern cuisine unlike anywhere else, a.Lure is an award-winning restaurant that focuses on from-the-farm flavours by sourcing as many ingredients as possible from local suppliers and preparing them in a traditional yet contemporary way. From their wonderful small plates of crab cakes with passion fruit tartar and braised rabbit open ravioli to their main courses of Lowcountry boil with local seafood and mac & cheese with a horseradish breadcrumb crust, everything is so incredibly tempting there’s no chance you’ll visit just once. The décor is casually chic, with bare brick walls, contemporary lighting and modern art giving the place an almost loft-like feel. While the prompt and courteous service by the faultless staff reveals that you’re not dining in a swanky apartment, but definitely in an upscale restaurant. Signature dish: A.Lure Burger – a wagyu burger topped with aged cheddar, smoked bacon, roasted garlic mayonnaise and fried shoestring onions, served with parmesan truffle tries and house-made ketchup. 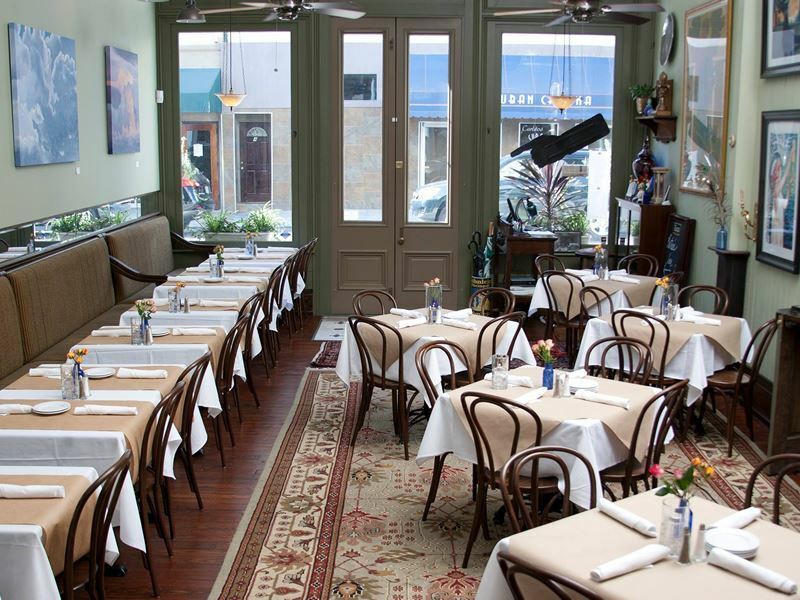 The scene: Offering a fresh alternative to the many restaurants delivering regional cuisine in Savannah, Circa 1875 steps away from the crowd and serves up unpretentious French cuisine in two distinctly different dining rooms. 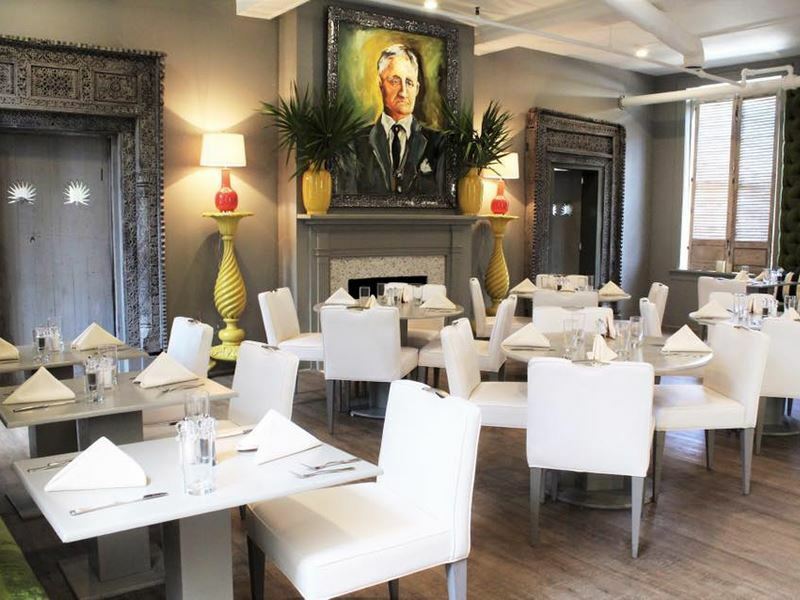 The main Parisian-style bistro features unusual décor, with pale green walls, white linen tablecloths and plus booth seating suggesting fine dining, while French flag curtains, over-the-top gold statues and oodles of classic artwork give the dining room a more kitsch vibe. The second dining room has a British gastro pub theme so on point that you’ll swear you’re sat back at home in your local. Both sections of the restaurant serve the same refined menu, boasting traditional French dishes, such as escargots and pate which make the ideal starters before you move onto classic mains like steak frites and duck breast with cherry sauce. The wine list has been carefully chosen to compliment every item on the menu, with a fantastic selection of Old World wines imported from France and more modern selections from local vineyards. Signature dish: Truite de Ruisseau Pôelé – pan-dressed Carolina brook trout served with glazed carrots and finished with a lemon caper brown butter sauce. 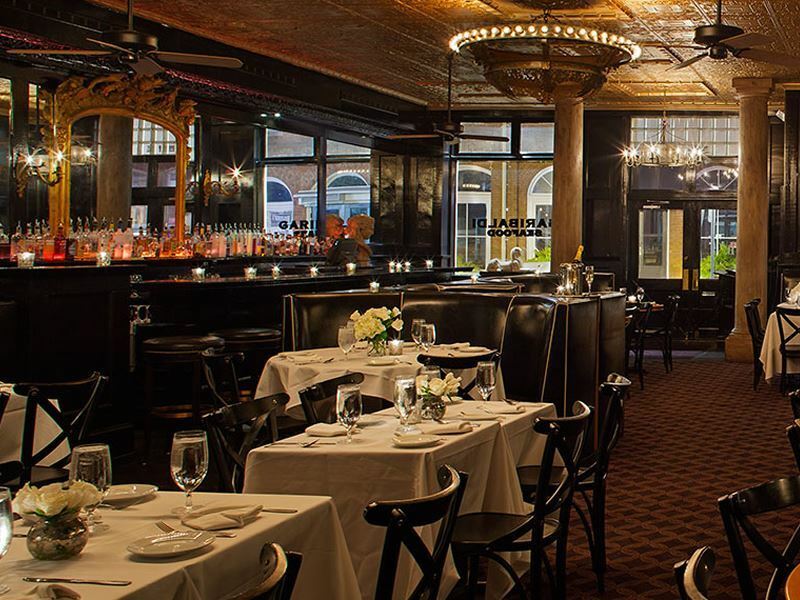 With such a huge selection of exceptional restaurants available in the city, it’s impossible to limit our Savannah restaurant recommendations to just ten. Here are another six fine dining eateries that offer equally amazing dishes, great ambiance and magnificent service, but just missed out on getting into the top ten. A hidden gem in the Historic District set inside a Colonial-era former grain warehouse, where the dynamic atmosphere matches the one-of-a-kind style of its exceptional southern menu, which includes a nightly-rotating exotic meat choice. Serving up fresh, market-inspired New American cuisine, this restaurant boasts beautiful décor, with original mouldings and wood veneers from the late 1800's inside a historic mansion with fantastic park views. Maintaining its popularity amongst locals and tourists alike for over 30 years, this gorgeous restaurant never fails to impress with its superb Italian menu which features classic favourites and seafood specials. 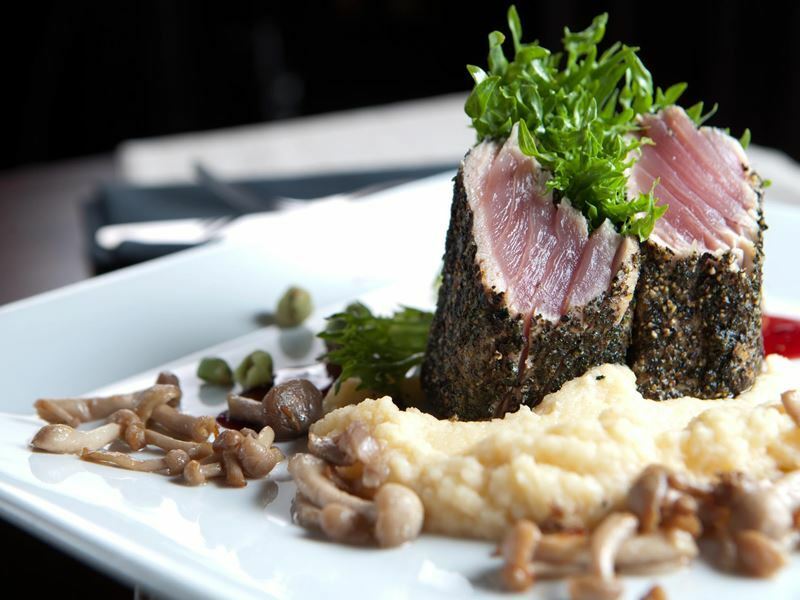 Offering an American-Continental menu that spans everything from crab-stuffed prawns and pecan-crusted grouper to roasted duckling and veal medallions, this tavern-like restaurant aims to please with its hearty food and happy hour specials. A unique destination that combines art, food and community, this fabulous restaurant inspires guests with its artfully-presented dishes, hand-crafted cocktails, designer furniture and local artwork that will make you feel like you’re dining in a contemporary art gallery. A Parisian-influenced bistro that serves up an affordable menu of French classics with a modern flair, as well as some of the best burgers in Savannah and amazing sushi, all with a buzzing bar atmosphere.